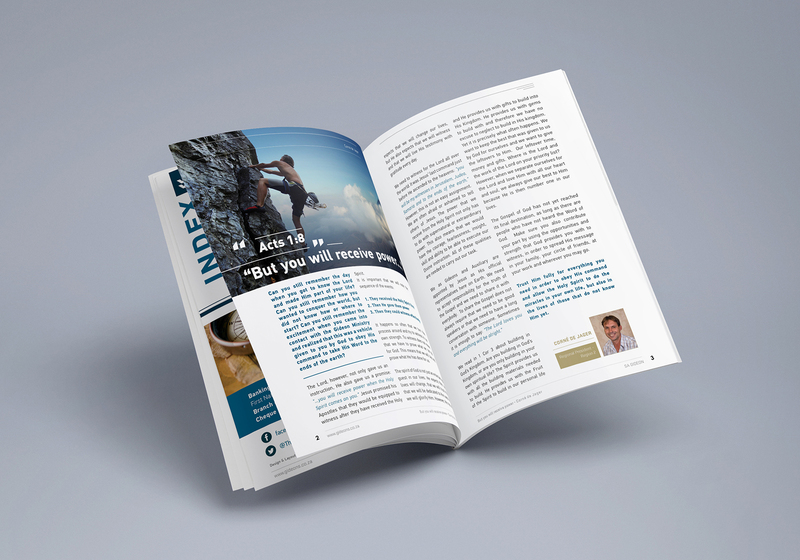 The Gideons International, founded in 1899, serves as an extended missionary arm of the church and is the oldest association of Christian businessmen and professional men in the United States of America. The Gideons International started distributing the Word of God in 1908. Today, we have more than 300,000 members – and an untold number of supporters – in 200 countries, territories and possessions across the globe. 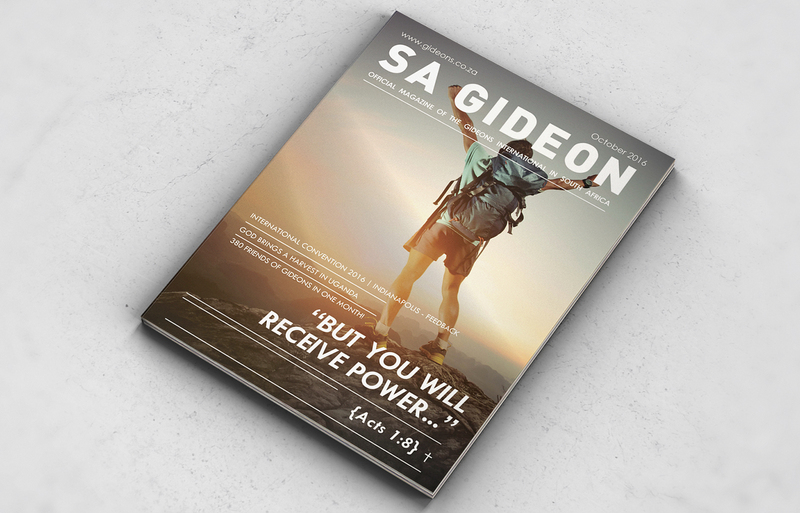 The Gideons publish a bi-monthly magazine every year. Black Ink is responsible for the roll out of all their printing material. 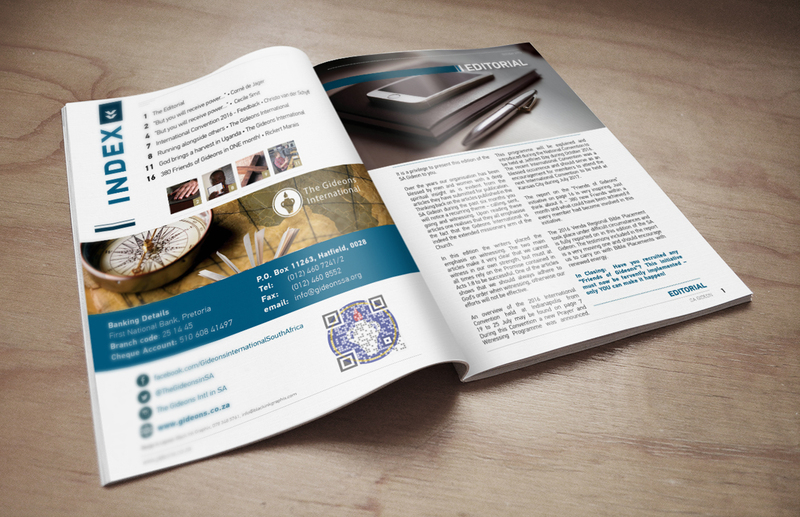 Credits: Magazine Design & Layout by Johlett vd Merwe. We are Black Ink, spesialising in brand development and website & digital product development. We take pride in our work & everything we create is executed with precision & love.